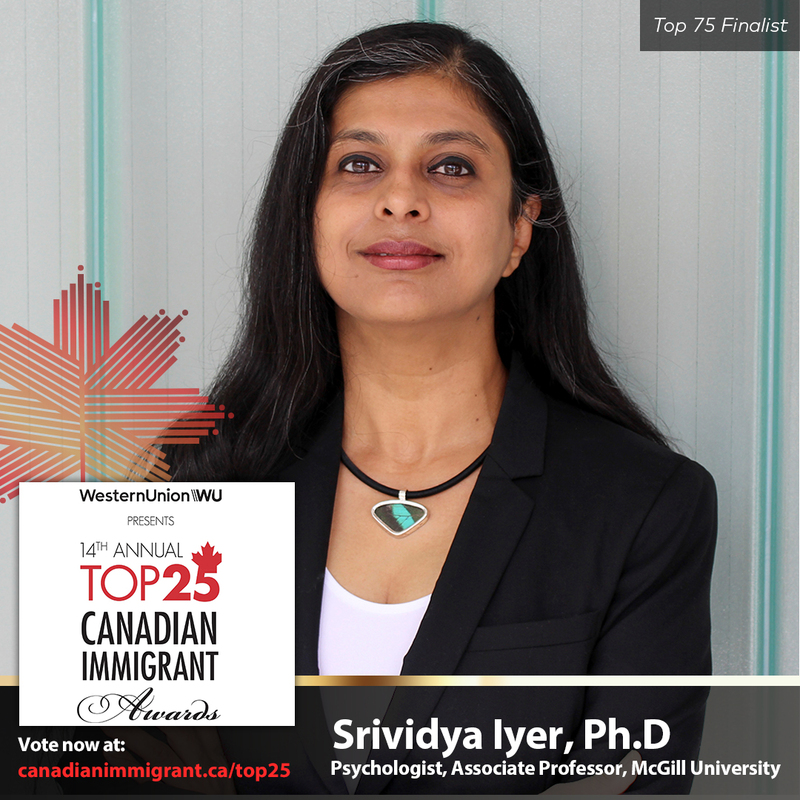 Srividya’s program of research is supported by a CIHR Foundation Scheme grant (2015-22) and builds largely on the platforms provided by PEPP, Canada’s leading early intervention program for psychosis and ACCESS , a pan-Canadian network dedicated to improving the mental health outcomes of youths aged 11 to 25. ACCESS is the first project established under the Strategy for Patient Oriented Research (SPOR) of the Canadian Institutes for Health Research (2014-20). Over the last several years, Srividya has also been pursuing a cross-cultural longitudinal study of outcomes and family factors in first-episode psychosis that is funded by the National Institutes of Health. This study involves PEPP in Montreal and the Schizophrenia Research Foundation, a mental health NGO in Chennai, India. More recently, she has been involved in a Grand Challenges Canada- funded project that provides mental healthcare to youth via trained lay health workers, e-solutions, and multi-stakeholder engagement in India’s Kashmir valley, a region that has been through much strife. Pruessner, M., Faridi,K., Shah, J., Iyer, S.N., Rabinovitch, M., Joober, R., Abadi, S., & Malla, A.(2015). The Clinic for Assessment of Youth At Risk (CAYR): 10 years of service delivery and research targeting the prevention of psychosis in Montreal, Canada. Early Intervention in Psychiatry. In press. As a researcher and service provider, Srividya Iyer’s interests are in youth mental health and early intervention, especially for psychosis, in Canada and beyond. Srividya is a researcher at the Douglas Hospital Research Centre, where she is supported by a Junior 1 Clinical-Research Scholar award from the Fonds de Recherche du Québec – Santé. She is also an Assistant Professor in the Department of Psychiatry, McGill University. Her core interests underpin her role as Scientific-Clinical Director of ACCESS , a pan-Canadian CIHR-supported Strategy for Patient Oriented Research (SPOR) network dedicated to improving the mental health outcomes of youths aged 11 to 25. As ACCESS’s Scientific-Clinical Director, Srividya provides leadership to the development, implementation and evaluation of a transformation of youth mental health services. This transformation is achieved through the early identification of needs, rapid response to help-seeking and the provision of appropriate, individualized care at 12 participating sites in six provinces and one territory. These sites serve urban, semi-urban, rural, Indigenous, immigrant, ethnic minority and homeless youths as well as youths under state protection and youths involved in the criminal justice system. She also plays a central role in creating and sustaining a vibrant collaboration among youths, families, caregivers, service providers, researchers, policymakers, Indigenous communities and community organisations from across Canada. Before taking on her ACCESS role, Srividya coordinated the Prevention and Early Intervention Program for Psychosis (PEPP), Canada’s leading clinical and research program for early psychosis. She continues to contribute to PEPP’s clinical and research activities. As a clinician, Srividya gained assessment and treatment experience in India, in the United States, and in Canada. Her specific clinical interests are in cognitive-behavioral therapy, mindfulness-based approaches, the design and delivery of mental health services and early intervention strategies (particularly for psychosis), community-oriented case management, clinical supervision and program leadership. She is also passionate about the mental health care of disadvantaged communities. Srividya’s graduate students are pursuing research projects in post-traumatic growth and thriving following first-episode psychosis; perceptions among service users, families, service providers and policy makers of their relative responsibilities for meeting the support needs of people with mental health problems; early case identification approaches and their evaluation in youth mental health; physical health outcomes in first-episode psychosis; and participatory, and arts-based approaches to engage Indigenous youth in mental health services transformation. She is interested in mentoring undergraduate and graduate students, fellows and other trainees in lines of research that are related to her own. Srividya completed her Master’s in Clinical Psychology at the University of Mumbai, India and went on to work as the sole psychologist in one of the world’s busiest public hospitals. She then pursued her doctoral training in psychology at the University of Nebraska-Lincoln and University of California, Los Angeles and her post-doctoral training at the Prevention and Early Intervention Program for Psychosis (PEPP) at the Douglas Mental Health University Institute.  Srividya's team also includes staff at the PEPP program and at ACCESS-Central, both located in the Douglas Mental Health University Institutes. Please visit PEPP and ACCESS websites for a detailed listing of team members. Srividya collaborates with several local, national and international researchers and other stakeholders (service users, families, service providers, decision-/policy-makers) on research related to youth mental health and early intervention, especially for psychosis. At the Douglas, she collaborates with Drs. Ashok Malla, Jai Shah, Martin Lepage, Marita Pruessner, Norbert Schmitz, Patricia Boksa, Ridha Joober and Shalini Lal. Levasseur MA, Ferrari M, McIlwaine S, Iyer SN. Peer-driven family support services in the context of first-episode psychosis: Participant perceptions from a Canadian early intervention programme. Early Interv Psychiatry. 2018. Gariépy G, Iyer SN. The Mental Health of Young Canadians Who Are Not Working or in School. Can J Psychiatry. 2018:706743718815899. MacDonald K, Fainman-Adelman N, Anderson KK, Iyer SN. Pathways to mental health services for young people: a systematic review. Soc Psychiatry Psychiatr Epidemiol. 2018. Venkataraman S, Jordan G, Pope MA, Iyer SN. Examination of cultural competence in service providers in an early intervention programme for psychosis in Montreal, Quebec: Perspectives of service users and treatment providers. Early Interv Psychiatry. 2017.